Raising Animals with Care for People Who Give a Damn. We are so glad you found us! Here at Hettie Belle Farm we raise 100% grass-fed beef and lamb as well as pastured pork, chicken, duck and Thanksgiving turkeys fed only certified organic grain. Our product is available through our meat CSA shares. 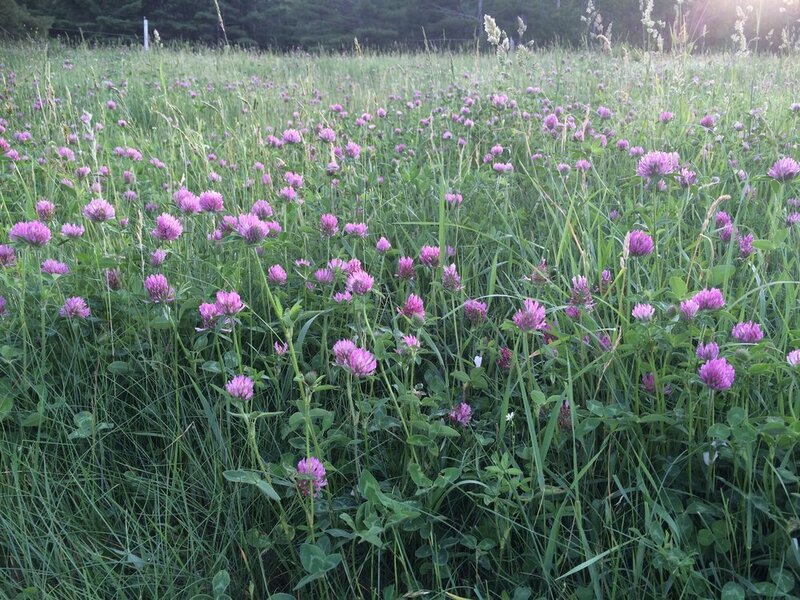 As a small scale, diversified, family farm located in the heart of the village of Warwick, Massachusetts, our children, the grass, humor & hard work are at the center of what we do. Our vision is grounded in a strong belief that livestock can live healthy, natural lives while families like ours maintain a humble livelihood farming with the natural rhythms of the seasons, our livestock and the land we steward. Community Supported Agriculture (CSA) is a direct consumer-producer relationship which knits communities together by investing consumers in the farms nearby. By becoming a 'member' of Hettie Belle Farm, in addition to receiving high-quality meats, you become a part of the farm and are invited to spend time with us here for special events, are given priority in reserving holiday turkeys, ducks and geese, and are provided a monthly newsletter rich in information on various cuts, cooking methods, recipes and more! 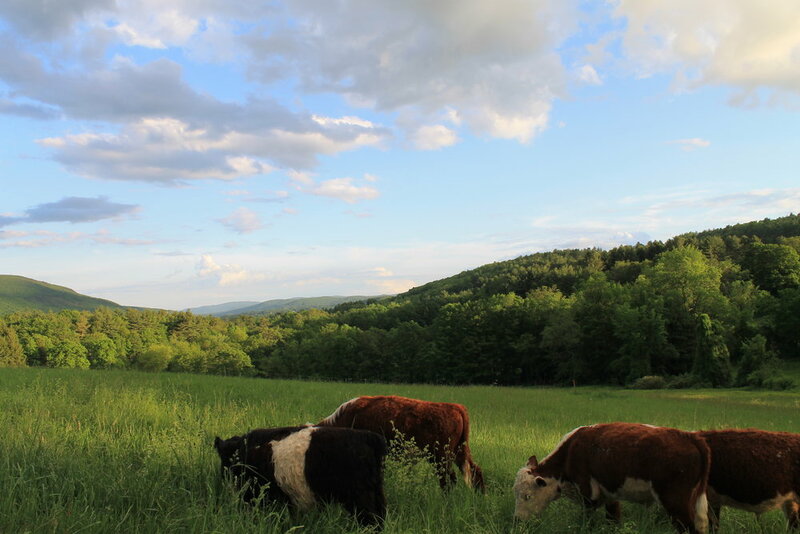 Here at Hettie Belle Farm we raise 100% grass-fed beef and lamb as well as pastured and organically-fed pork and chicken. Shares consist of an equitable distribution of higher end cuts, roasts and ground meat. *Don't eat lamb, pork or otherwise?? No problem. Let us know and we'll provide more of something you really enjoy! Each monthly distribution will contain a nice variety of cuts and at least two of the species we raise here on our farm. $630 shares are comprised of a total of 65 pounds of farm product distributed over 5 monthly pick-ups (November – March) of roughly 12-15 pounds each. Members can expect to receive a combination of organically-fed pork, 100% grass-fed beef & lamb and organically-fed, pastured chicken. $480 shares are comprised of 45 pounds of farm product distributed over 3 monthly pick-ups (November-January) 15 pounds each. Members can expect to receive a combination of organically-fed pork, 100%-grass-fed beef & lamb and organically-fed, pastured chicken. $150 shares are comprised of 15 pounds of grillable farm product distributed once in the summer (June or August). Members can expect to receive a combination of organically-fed pork, 100% grass-fed beef and organically-fed, pastured chicken. Our members have access to lard, stock, bones and organ meats at no cost throughout their distribution season! Our share price reflects the real cost of raising animals on a diversified small-scale, with daily care and fed certified organic rations. The cheap prices found at the super grocers do not reflect the externalities (environmental, human health and animal welfare) in raising livestock on a large scale and pumping them full of waste feed concentrates and antibiotics. In order for small farms to return to our hillsides, we must decide that we are willing to pay, entirely, for what we eat. Our animals are grazed together cows, sheep and poultry and moved to new grass everyday. 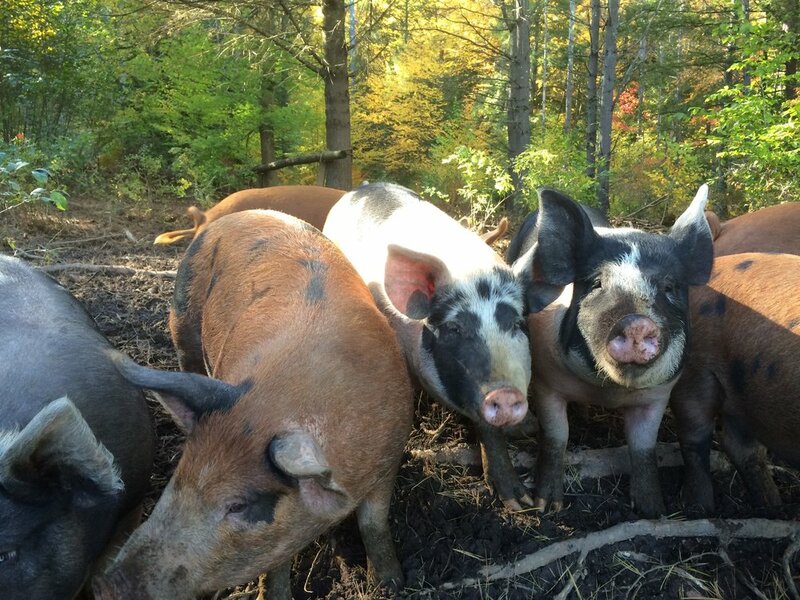 Our poultry and pigs receive Green Mountain Feeds organic grain rations daily. You bet it costs more! We happily accept monthly payment plans and SNAP benefits.